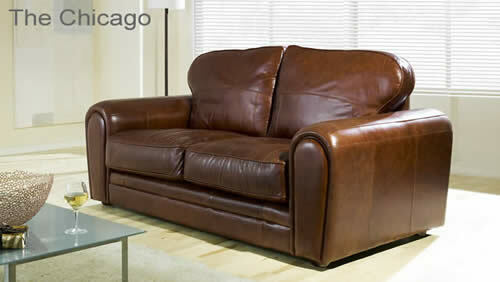 The Sofa Collection can be viewed in Flash by clicking here, alternatively the premium leather sofas can be viewed in HTML on this page, the vintage leather sofas can be viewed by clicking here. Superb, distinctive, large flat arms create an instant impact, and a lasting impression on those that see it. The most popular sofa design around and possibly the best! 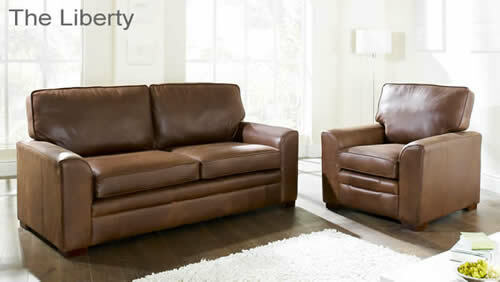 Made using top quality full grain leather, the Liberty is one of our most popular leather sofas. 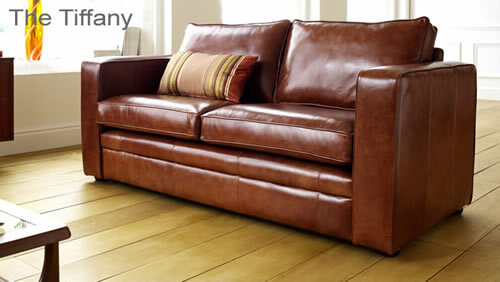 Combining modern furniture design with natural aniline leather, you are assured of quality and a unique finish which adds a touch of class to any room. 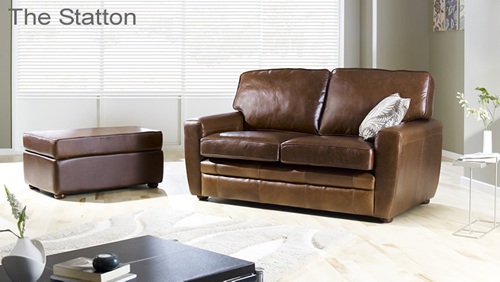 One of our exclusive sofa designs, the Statton has slightly tapered arms and available with square or bun feet. The Chicago offers optimum luxury and comfort. This range features delicate stitching on the arms to create a clean curved line, and generously filled, fibre seat cushions to provide optimum comfort. The Manhattan has a truly unique design with very distinctive high arms. 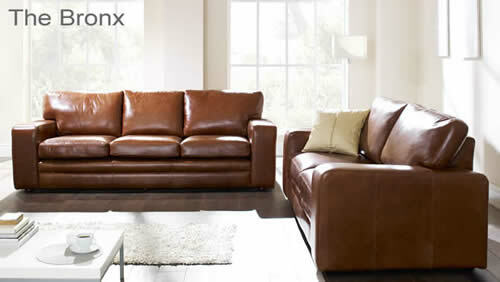 Shown above upholstered in premium quality full grain aniline leather, and featuring two large padded arm cushions. 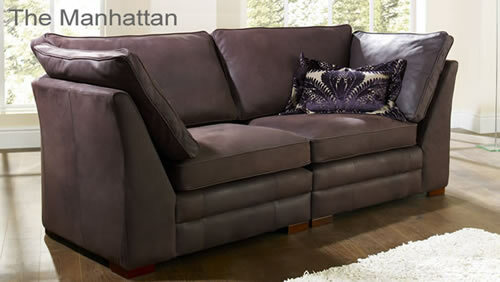 When ordered as a 3 or 4 seater, the Manhattan sofa comes in two pieces to enable easier access into the home. 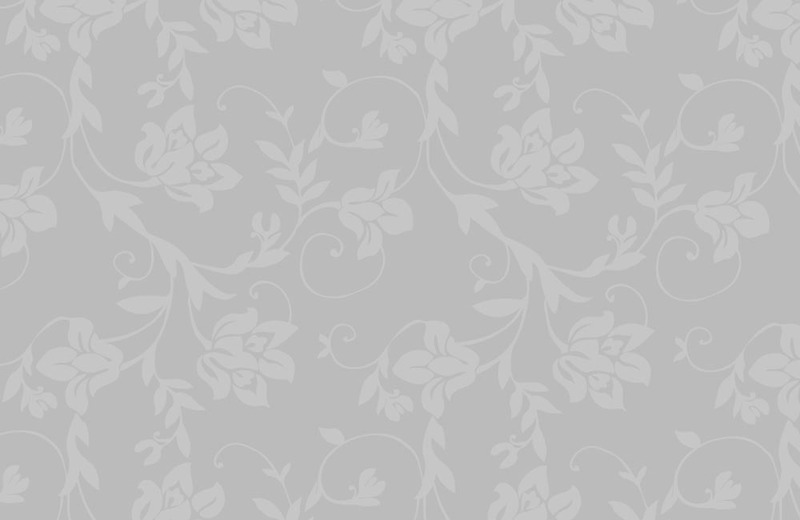 Comfort, Pleasure, Style and Grace, the Tiffany range has it all. Flat, squared arms add practicality and usability to an already great list of qualities. Hand made and hand tailored to your precise requirements. Choose any arm design from our contemporary settee range, pick the exact arrangement of seats you require and finally choose to have stools, ottomans, arms or a mixture of both on your personalised modular sofa. 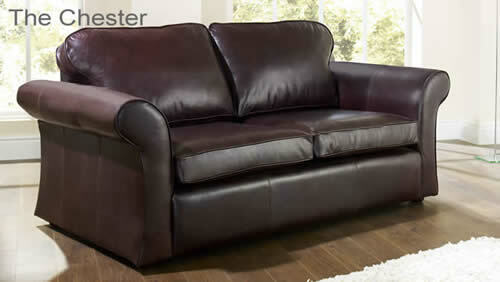 The Chester leather sofa has a flowing but simple design available with solid wooden bun or square feet. Guaranteed to draw compliments from all who see it and be loved by all that sit on it. 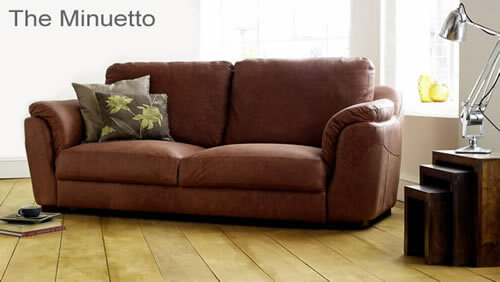 The Minuetto boasts both comfort and style, inspired by Italian upholstery with its curvaceous design. 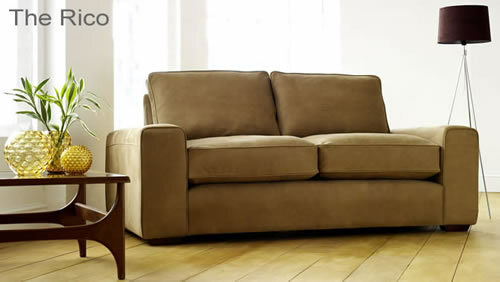 This sofa has fixed seat cushions that contain individual coil springs creating an incredibly comfy sit. The Rico's square arms and straight lines give it a contemporary and minimalistic appearance. What lies beneath the upholstery is a fishmouth spring which compresses when sat on, adding a whole new dimension to the comfort of the suite. 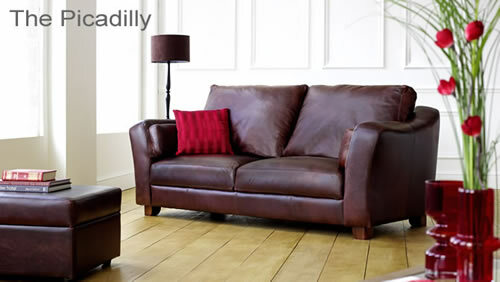 The Picadilly leather sofa is a stunning model that forms the centerpiece of which ever room you put it in. 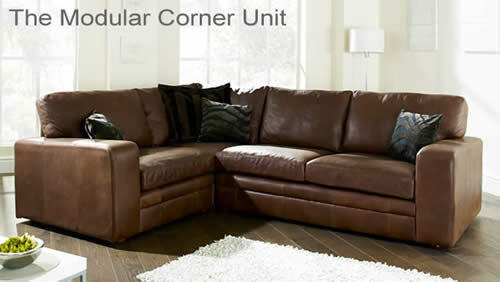 It has fibre filled pads that are sewn in to the curved arms adding comfort and giving it a magnificent unique appearance.